. 中华医学会呼吸病学分会. 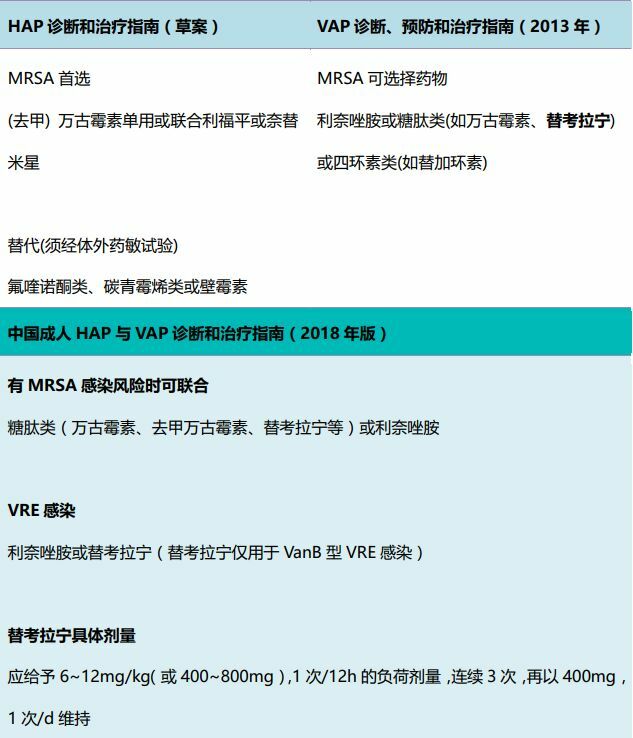 医院获得性肺炎诊断和治疗指南(草案)[J]. 中华结核和呼吸杂志, 1999, 14(4):160-161.
. Mimoz O, Rolland D, Adoun M, et al. Steady-state trough serum and epithelial lining fluid concentrations of teicoplanin 12 mg/kg per day in patients with ventilator-associated pneumonia.[J]. Intensive Care Medicine, 2006, 32(5):775.
. 中华医学会重症医学分会. 呼吸机相关性肺炎诊断、预防和治疗指南(2013)[J]. 中华内科杂志, 2013, 52(6):524-543.